It is the final segment of of the BERNINA Rulerwork Quilt Along! I know many of you have been waiting for this because you have posted pictures of your progress in my Facebook Group. I’ve been so excited by the progress you’ve been making! Seriously, having so many people sew along with me on a project like this makes my heart sing! One of my samples was created on the BERNINA Q24 and the other on my BERNINA 780, both with Aurifil thread. 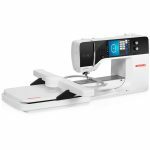 If you are sewing on a domestic machine make sure you watch the domestic machine tips from Parts 1 and 2. Note: Alice – please put in links here. Here is a preview of what we’ll be working on…. For this post, I’ve filmed a video the next 3 sections of the BERNINA Rulerwork Quilt-Along Sampler. 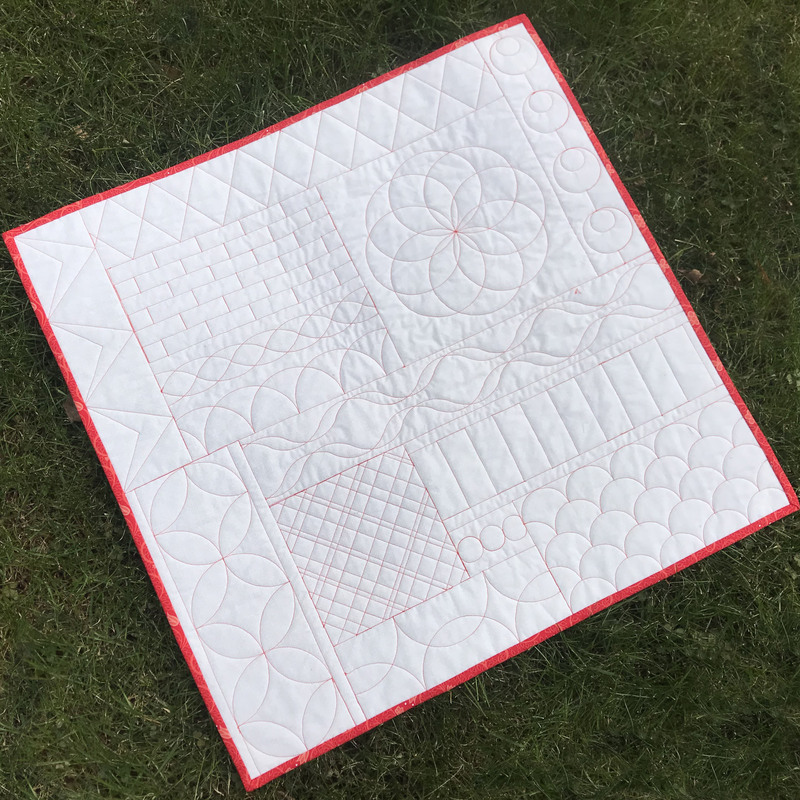 Since this is the last segment of the BERNINA Rulerwork Quilt-along, please continue to follow me on my Facebook Group, Quilting with Amanda Murphy, and also keep an eye out for me here on WeAllSew in the future! 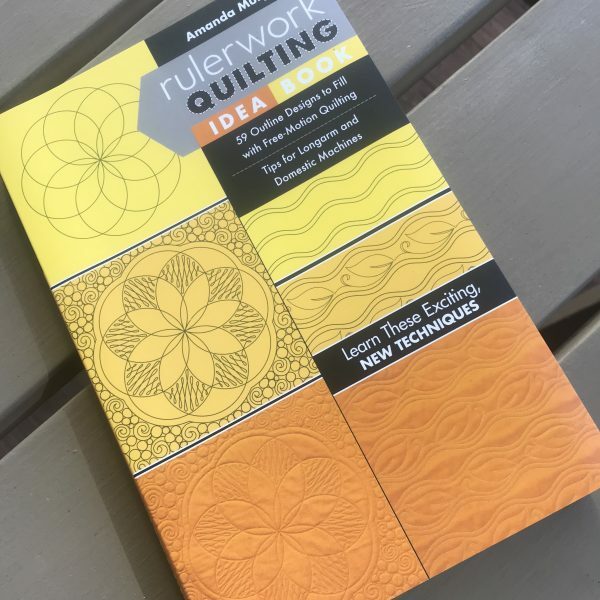 And if you’d like more rulerwork designs, check out my new Rulerwork Idea Book for C&T Publishing. Happy quilting and enjoy your sampler! I have really enjoyed this series. I did notice that the Area 11 video is not complete. It stops at the beginning of the second part of the last motif. Hope this will be fixed and made available. I had also hoped that the other rulers in the Bernina set would be demonstrated. Hope that this in the works for further tutorials. I love the way Amanda explains and demonstrates the techniques. I see that the Area 11 video has been fixed and is complete. Thank you. I am using the Westalee 4″ arc ruler for lessons 11 and 12, but can’t figure out how to make the full circle for lesson 13. The biggest circle template I have is 2″ and it’s an inside circle, not outside like you are using Amanda. Can you help me? Is there a different ruler I can use? Unfortunately the 4” arc doesn’t work like a full 4” circle would, so you might have to significantly modify the design if you want to use that ruler. Or make up another design. That being said, I know Westalee makes a 4” circle tool. I think it is part of their Simple Circles line. Hi Amanda, Well, I finally did figure out how to use the 4″ arc to make the complete circles. I just made an extra mark on each line at the 2″ place and then flipped the arc over carefully lining it up. Worked just fine this way. I really enjoyed making this sampler. I look forward to more projects that you share here. Thanks!! Wanted to say that an inside circle versus an outside circle doesn’t really matter as long as it quilts a circle that is 4”. Of course, you might have to align it a bit differently if it was an inside circle but it will still have 90 degree markings, etc. The arc makes a great curve, but doesn’t have these markings. The way she showed using the rulers was so helpful. 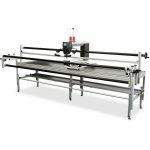 Now I won’t be afraid to try doing the quilting myself. Thank you so much. How do I print the Part 11, 12, 13. Love your videos.